A favorite family farm visit in Northern Michigan is also the site of a new agricultural crop finding success on the gentle farmlands near the 45th parallel. 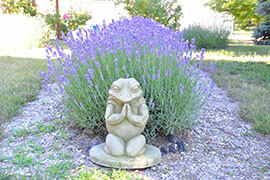 Rolling hills of lavender are creating a must see destination for tourists, garden clubs, families and plein air artists. Visitors can enjoy a tour of the fields, join a class in making lavender wands, walk the lavender labyinth, shop a while in the giftshop, or sit under the big walnut tree to relax and contemplate the serene countryside. 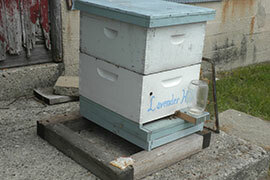 Individuals and groups can schedule a tour or consultation on growing lavender or beekeeping. 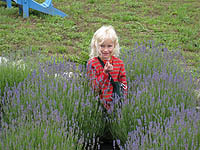 Lavender Hill Farms, established in 2003, is the largest commercial lavender farm in Michigan. The owners are committed to growing healthy varieties to supply the ever increasing demand for fresh and dried flowers, culinary lavender and a variety of sachets for home use. 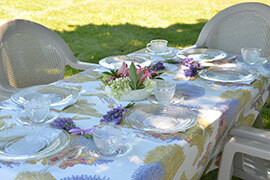 The farm is an earth friendly farm using no pesticides, herbicides or fertilizers. This is one of the advantages of farm products. So suited is the soil in Northern Michigan, that the use of fertilizers and irrigation is not necessary. Over 25 varieties are grown at Lavender Hill Farms, all of which are hand planted and harvested. 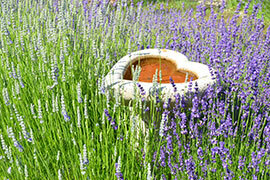 Visitors are able to pick their own lavender, or perhaps view the distilling process. We are closed for the season but you can still buy products from our website with the help of 24loanstore's advance. We've fed the bees and the butterflies, and hope they will survive another winter.